HARBIN, July 3, 2014 - Russian exhibitors communicate with a Chinese dealer at the China-Russia Expo (CR Expo) in Harbin, capital of northeast China's Heilongjiang Province, June 30, 2014. The expo, which kicked off on June 30, will last until July 4. 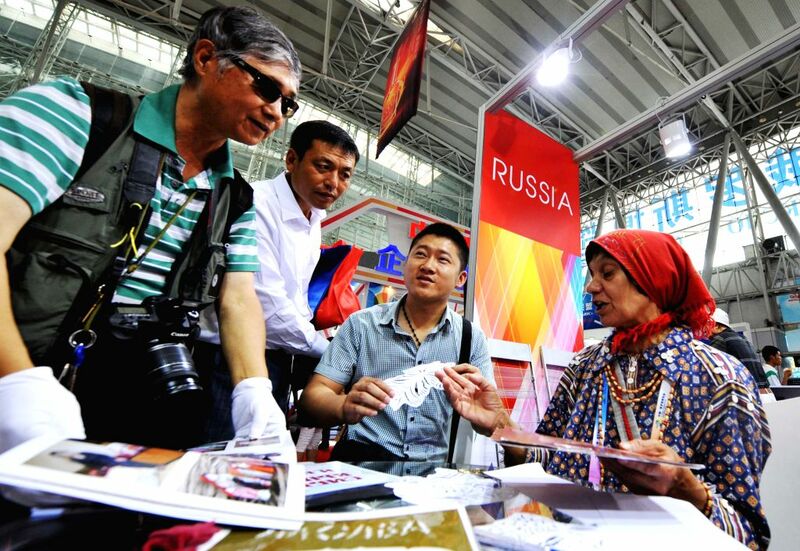 Visitors learn about paper-cut arts from a Russian folk artist at the China-Russia Expo (CR Expo) in Harbin, capital of northeast China's Heilongjiang Province, July 2, 2014. The expo will last until July 4.